Two Lights were used, one was placed to the left of the frame and slightly behind the model to keep the background light and the second was placed in front of the model to the right of the frame for general illumination and modeling. The idea for this image was to isolate the model in time and space by using a pinhole camera and using a black background. For this image the model had to remain virtually motionless for 15 seconds. This was shot with a homemade pinhole camera. This image is not very sharp as characteristic of pinhole cameras however the three dimensionality and tonality of the image are surprising. This image was shot on Ilford Delta 3200 120 film and developed Rodinal Diluted to 1+50. The negative was scanned into Lightroom where it was cropped . I Was experimenting with this stretchy fabric and had some interesting results. Two lights were used, one was placed on the left of the frame and slightly behind the model and one on the right of the frame even with the model. This is a digital image processed in Lightroom. Exposure and brightness were adjusted well as a moderate amount of cropping. The image was converted to monochrome via a lightroom preset. It really helps when the sky co-operates. This in an image of a threatening sky over a desolate landscape. 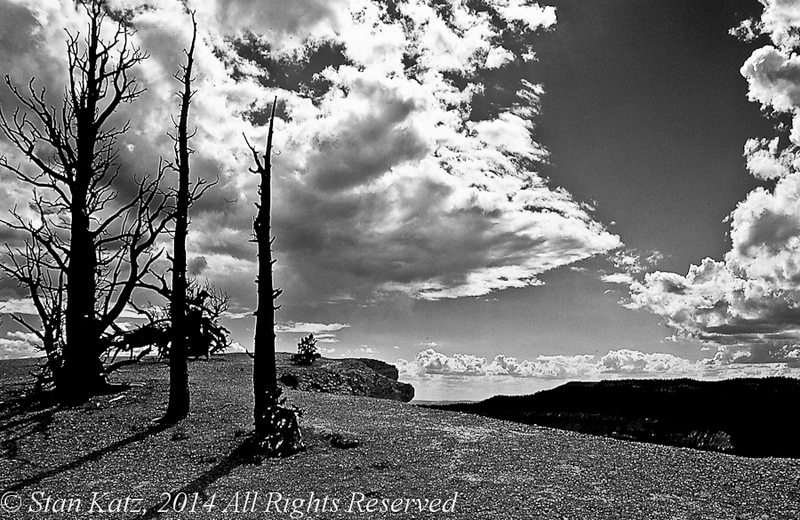 This image was taken on the canyon rim in Bryce National Park. This was shot with Ektachrome G100e slide film. It was scanned into Lightroom and converted to Black & White via a Lightroom preset. The contrast was adjusted and cropped. 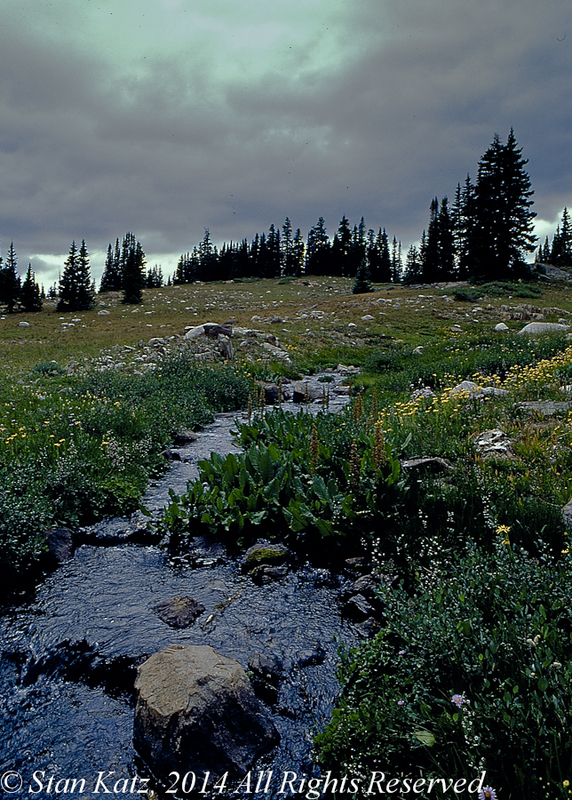 I was walking around near Brooklyn Lake, in the Snowy Range Mountains in Wyoming and came across this brook. The sky was looking as though it would start storming at any minute so I had to work quickly. This was one of a few images I was able to get before the skies opened up. This was shot on Ektachrome G100e slide film. It was scanned into Lightroom where the contrast and exposure were adjusted. The Image was cropped slightly. 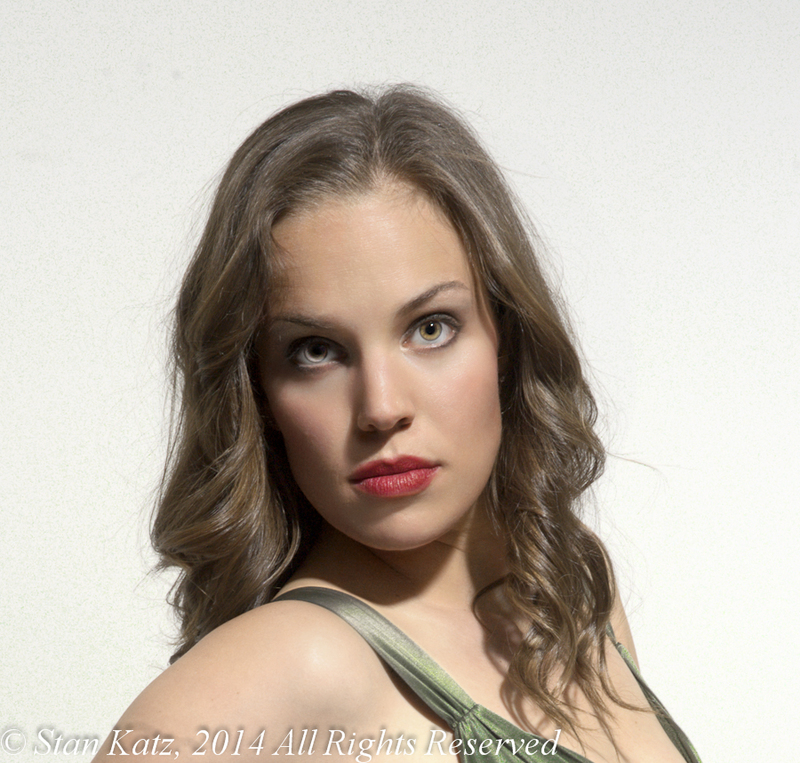 One light was used, it was placed to the right of the frame and a little in front of the model. The light was placed so the model would illuminated from one side while the rest of her body would be in shadow. This was done to emphasize the model’s muscularity. This image was shot on film and scanned into Lightroom. The contrast and exposure were adjusted and the image was cropped slightly. This is a great pose, it’s combination of long lines and the curvature of the models posture. It shows strength but also a certain softness. 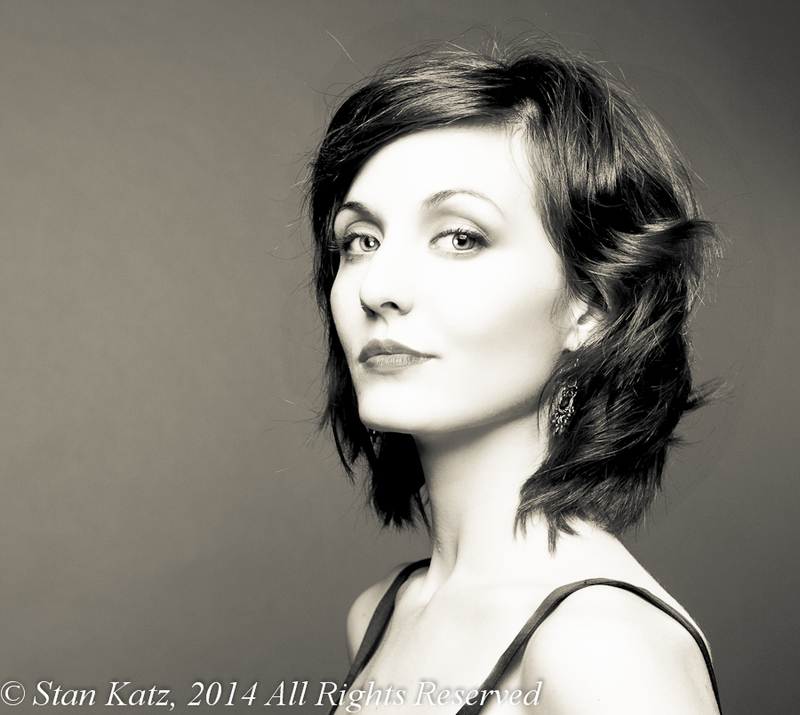 One light was used, it was placed to the left of the frame and a little in front of the model. The light was placed so the model would illuminated from one side while the rest of her body would be in shadow. This is a digital image processed in Lightroom. The contrast and exposure were adjusted and the image was rendered to a monochrome via a Lightroom Preset. The image was cropped slightly. I was on a ferry from Maine to Nova Scotia. 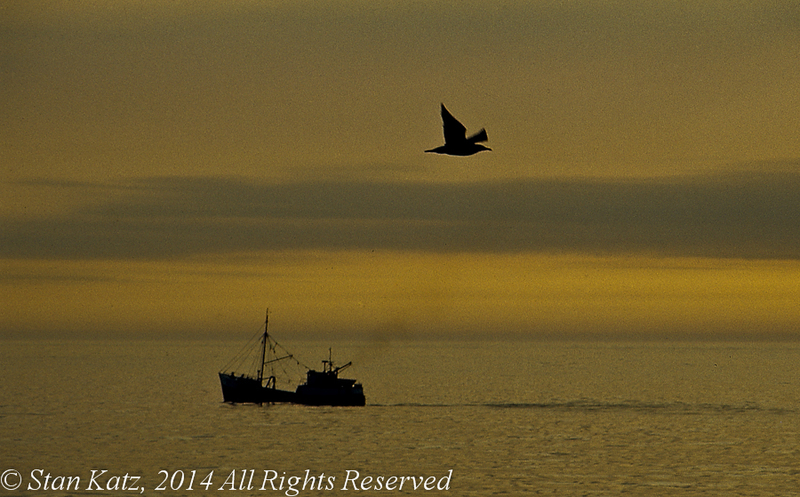 Just after sunset when this image presented itself, a trawler going one way and a bird going in the other. The two silhouettes and a pastel sky make the picture. This was shot on Ektachrome 64 slide film. It was scanned into Lightroom where the contrast and exposure were adjusted. The Image was cropped slightly.